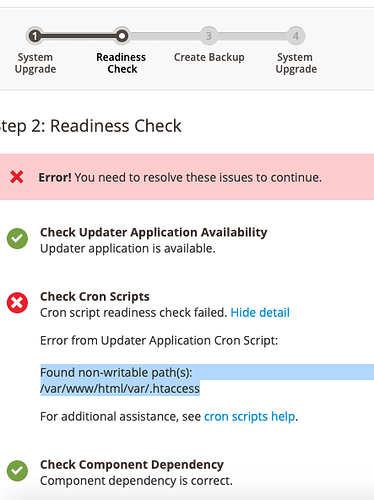 /var/www/html/var/.htaccess" I’ve pressed “Try Again” a few times but I keep getting the same error message. I have also tried to give permissions to var folder and other commands but it does not resolve. It’s either an Ownership or Permission issue with the /var/www/html/var/.htaccess file.